Today, with 3.5 million Independent Beauty Consultants, Mary Kay offers more than 200 premium products in more than 35 countries around the world. For more than 50 years, Mary Kay has helped women discover products that they love: innovative skin care, irresistible makeup and unforgettable fragrances. 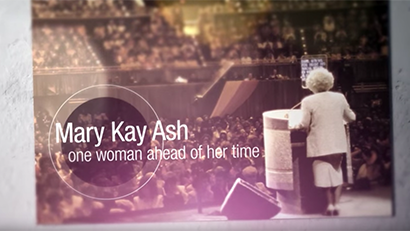 At the same time, the Mary Kay business opportunity has helped women from Kansas to Kazakhstan, discover extra income, empowered choices and true beauty from the inside out. © 2019 Mary Kay Inc.